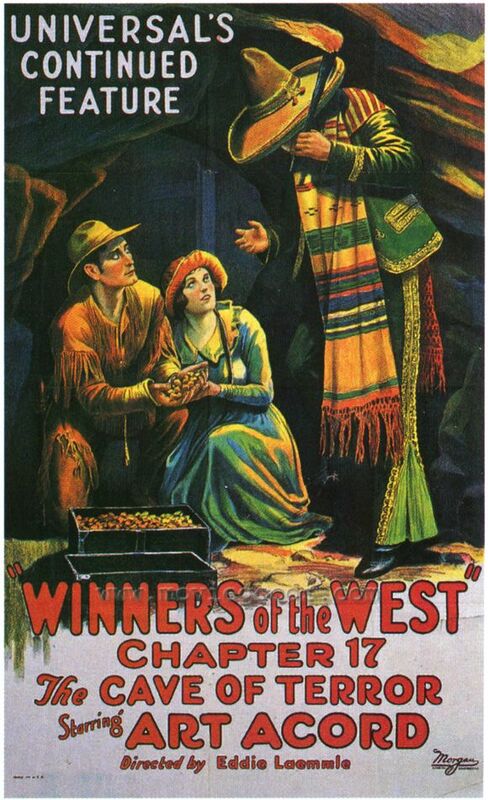 Winners of the West is a lost 18 chapter film serial from 1921 that is based on the Fremont expedition in 1849. Based on the Fremont expedition, this serial follows Fremont's trail and attempts to tell the story of his travels through Oklahoma, aided by a mysterious Mexican. Not much else is known about the plot - not even whether or not the characters of Arthur Standish and the Mexican were meant to be one and the same. This serial was actually an effort by William Lord Wright to dodge censors, to create a violent and yet "educational" documentary type film (censors would usually stay away from factuality films). It was directed by William Laemmle, and scripted first by Ford Beebe and then Robert Dillon. Art Acord starred in the film as both Arthur Standish and the Mexican. Only a poster and some stills have surfaced of this serial.